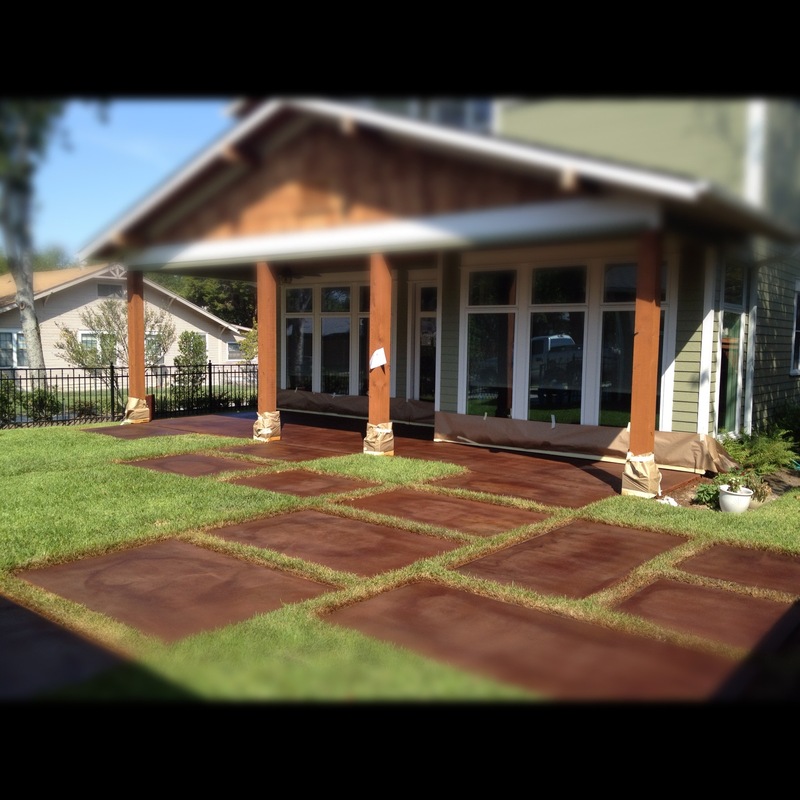 The builders of this home in Maypearl , TX came to us looking to create a beautiful unique look for their new home and stay within their budget plans. 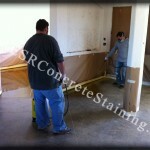 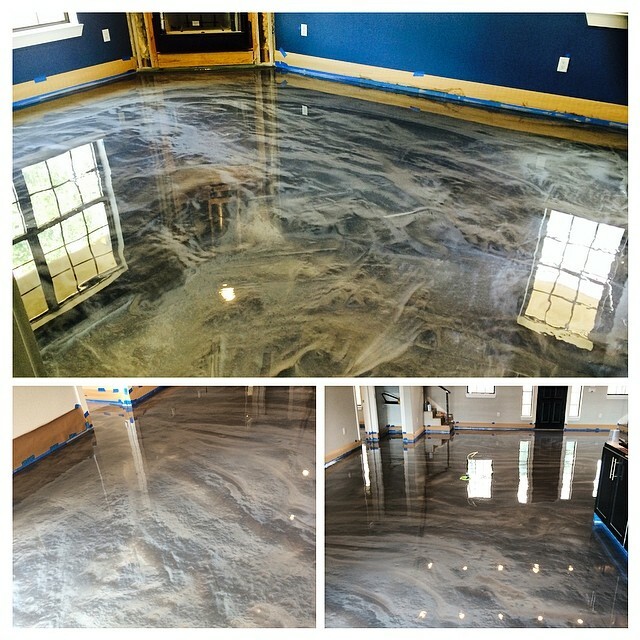 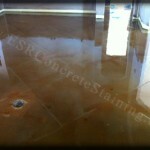 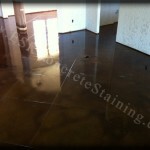 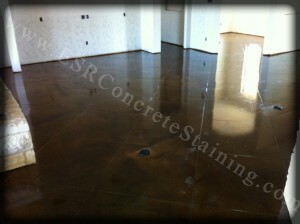 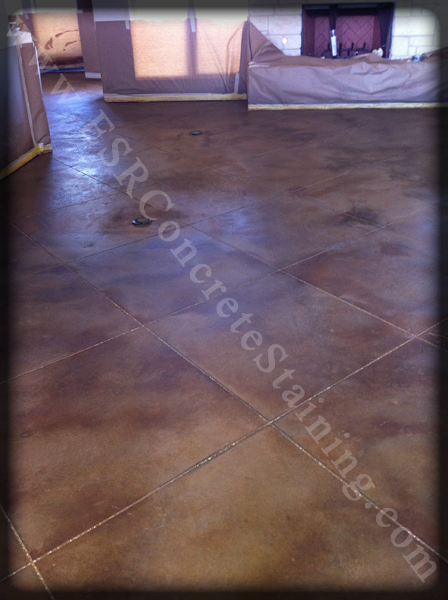 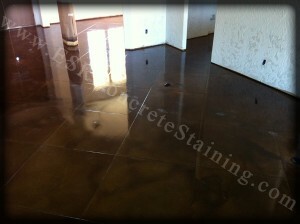 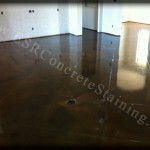 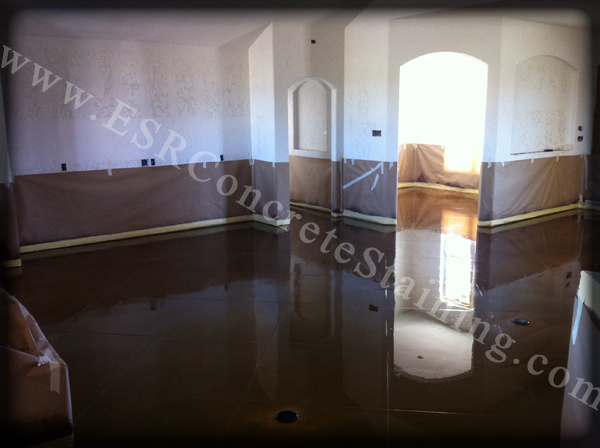 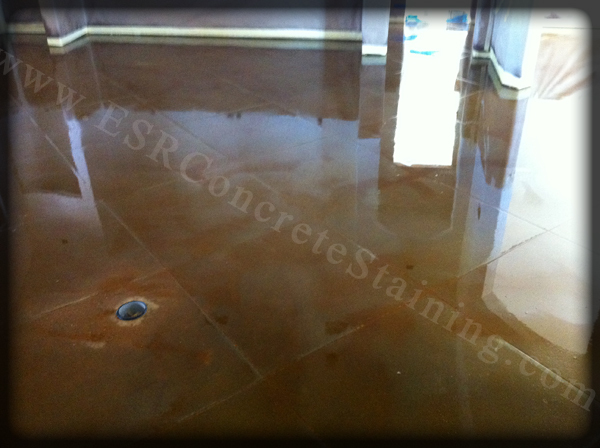 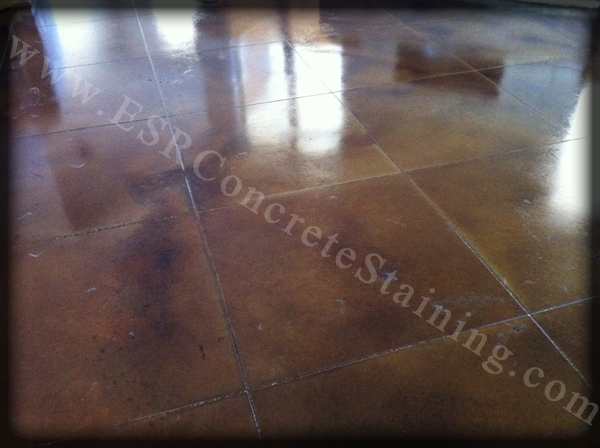 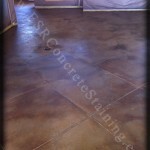 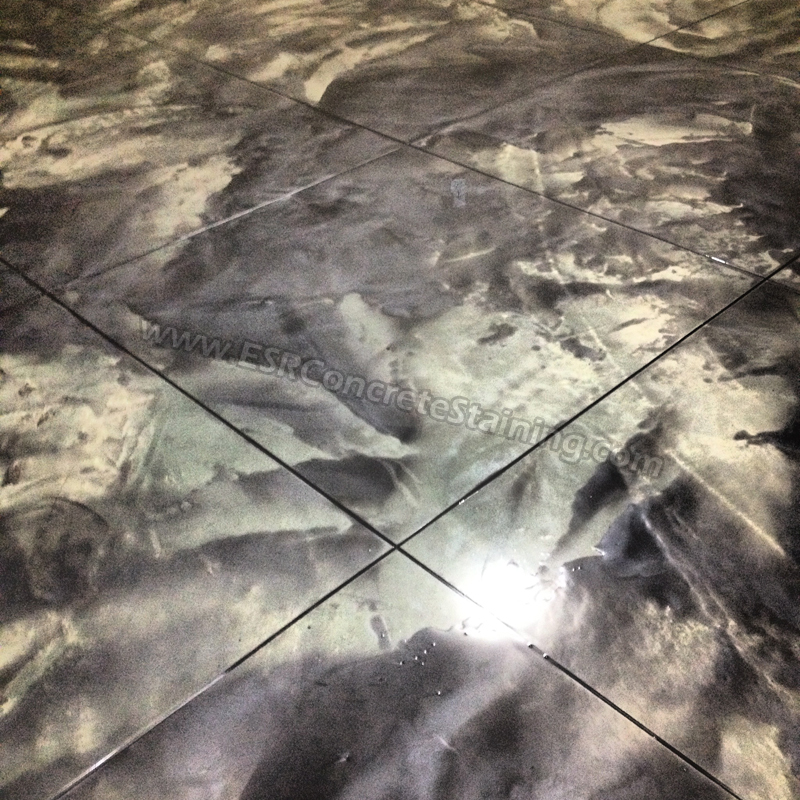 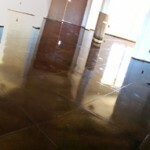 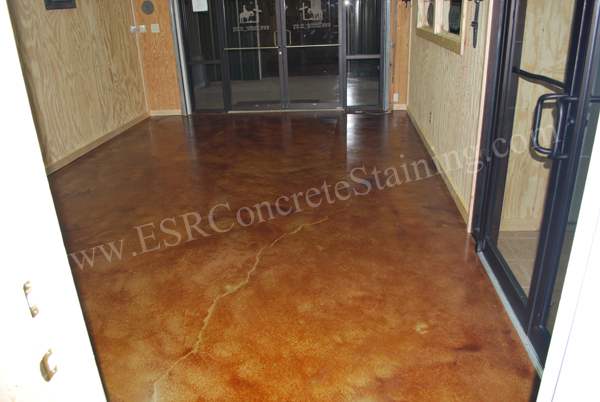 We where able to work with the builder to create an outstanding acid stained concrete floor. 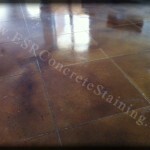 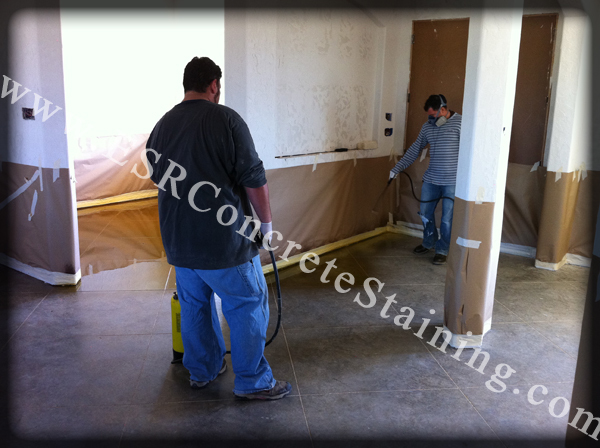 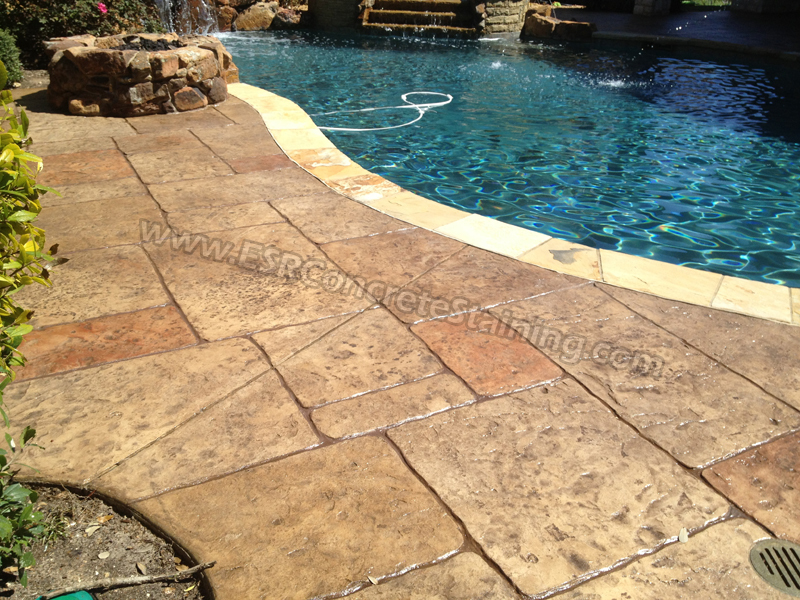 We engraved large tile line patterns into the concrete before staining. 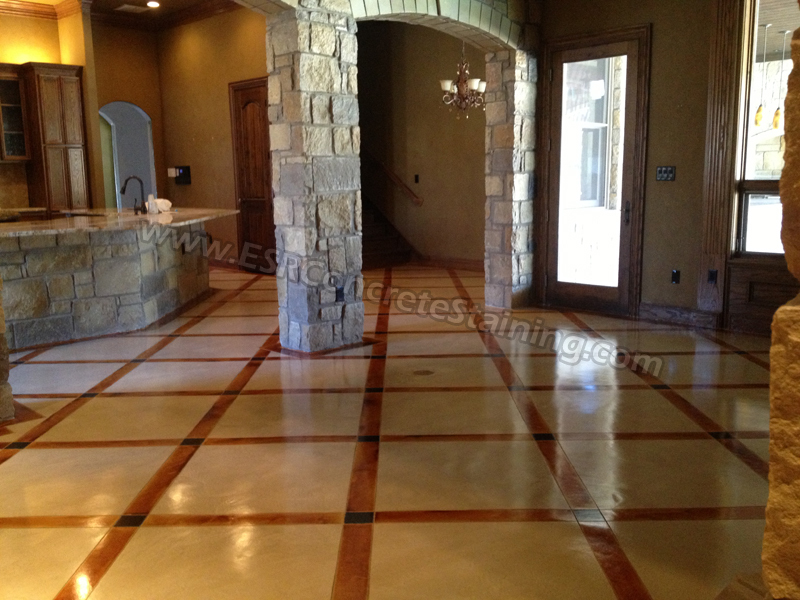 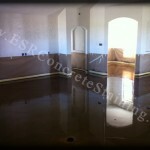 The color Antique Brown was used on this project with a solvent based sealer.